An excellent question. I was getting there in my presentation, but alas, I ran out of time. TDG was very gracious and even acknowledged that I did only have so much time to present my case. This is a question Creationists sometimes get razzed for. A couple of comments are pertinent first. Either we were created by a being who is not only outside of our natural laws, but created those natural laws – OR – we evolved through extranatural processes which defied known natural laws. There are no other plausible arguments for the origin of life. Therefore, an argument against evolution is, in a general sense, an argument for creation. We need to look at the evidences to see which theory has more credence. You cannot “prove” it either way, really. TDG’s question is a pertinent one. Take a look at this chair. -Did this chair have a designer? -Did this chair have a creator? I pointed out the irreducible complexity of both living cells and the bacterial flagellum. Those who have stumbled onto this webpage and haven’t got a clue what I’m talking about, are welcome to read the flagellum argument here. Creationists frequently get ridiculed for not having enough blind faith. The “argument of incredulity” is definitely a valid argument. Judge for yourself: Is it more scientific to conclude that this chair was formed by random, natural processes without any guidance, or that it was deliberately fashioned? One look at this chair, and one immediately recognizes the evidence of intelligent design! It is a perfectly logical, scientific conclusion to assume it had a creator, though we’ve never seen that person, nor did we see them make it. This is not circular arguing. Saying “it exists, therefore it must have been created” is circular reasoning, just as saying “It’s here, therefore it must have evolved” is too. We are looking at an object and deducing that it was fashioned with design and intelligence, and not randomness. In fact, we are using intelligence to deduce intelligence! It has to be the highest of irony (and hypocrisy?) that the strongest antagonists towards the Intelligent Design movement are also some of the biggest proponents of the SETI project: Searching outer space for signs of intelligence in radio waves potentially from alien lifeforms who must have evolved in our huge universe! They deny that intelligent design points to an intelligent creator (of life), then go looking for an intelligent creator (of radio transmission equipment) by looking for intelligent design in radio waves! It is an infinitely simpler task to form this chair by natural, random processes than it is to form even the simplest of lifeforms – so if it is so impossible for this chair to form by natural processes, why on earth would a perfectly intelligent person conclude that life was formed by natural processes? Not knowing the creator of the chair does not mean it did not have one. Not seeing him does not mean he does not exist. Perhaps that creator wants you to chase him down? Perhaps that creator wants to give people the freedom to ignore him and reject him… or chase after him? The creator is not going to force himself on you, but the evidence of him is all around you. Incidentally, a common argument in favour of evolution is homology. Basically, when one looks at different animals, you can see similarities in the skeletal structure between them. This is considered evidence that they evolved from a common ancestor. I agree that this could be interpreted that way, however this is (at best) a weak argument. 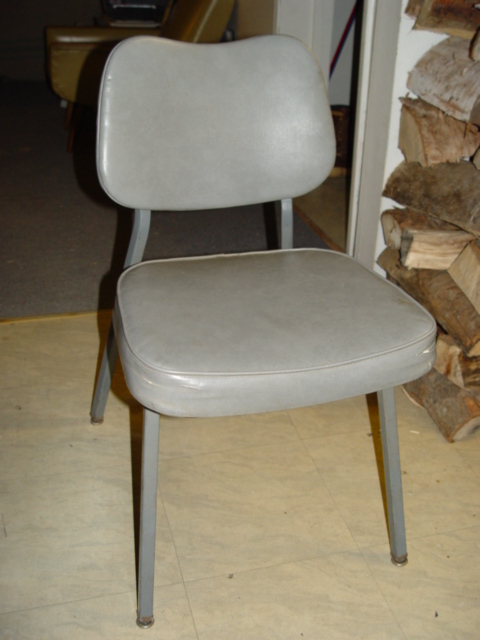 For example, there are plenty of chairs around, and they frequently look the same! This is just as much an evidence of common design, (i.e., it works well, use it in other designs!) just as much as it could be argued they evolved from the same ancient chair. Homologies are left in the dust however, when one brings the duckbilled platypus into the picture. These arguments of homologies are pertinent to the “Suspected references” response. The next part of my opening talk would have included the evidence in geology for a young earth, and an instantly created one. Rather than re-invent the wheel, I will merely point readers to my already published webpage on the radio halos in granites. This is irrefutable evidence of an instantaneous formation of earth’s granite crust, and presumably, earth itself. In brief, the granite crust of the earth has no natural origin. Anyone who would beg to differ is quite welcome to answer this challenge by merely producing synthetic granite in the lab. It IS physically impossible. Furthermore, the granite we do find shows evidence of instantaneous formation. This happens to be a subject I am very knowledgeable in and about which I am quite willing to field questions and detractions.